In Glenvill Projects Pty Ltd & Ors v North North Melbourne Pty Ltd & Ors  VSC 71 a claimant in an expert determination challenged an interlocutory decision of the expert to refuse the claimant leave to amend its claim. After discussing the nature and purpose of expert determination, and construing the contract between the parties and the expert, the Court held that the expert did not err. A dispute between an owner of a residential building and the builder was referred to expert determination. The builder alleged that it was entitled to liquidated damages arising out of the failure of the owner to deliver the site to the builder with utility services connected. Late in the expert determination process, and after exchange of submissions and affidavits, the builder sought to amend its claim, alleging that liquidated damages were also payable because of other matters unrelated to the failure to provide utility services. The expert’s terms of engagement with the parties to the building contract provided, among other things, that any dispute arising between the parties in respect of the expert determination process was to be determined by the expert. he considered that the process would need to be recommenced with fresh submissions. the expert must decide the dispute acting as an expert and not an arbitrator. The builder submitted to the expert that if leave to amend was not granted, it would be compelled to commence further proceedings, either by way of another expert determination, or by issuing in VCAT or the Courts. It contended that this would result in a multiplicity of proceedings and the risk of inconsistent finding or issue estoppel. The builder submitted to the court that because the expert disallowed the proposed amendment, there was a manifest error within the meaning of the building contract because the amendment was within the scope of the expert determination referral, and also because the expert denied the builder a proper opportunity to put its case. The activities of an expert are subject to little control of the court, save as to jurisdiction or departure from the mandate given. A referral to an expert usually arises because the parties desire a particular body of expert experience, learning, skill and judgment to be applied to the resolution of defined issues that may arise in the course of the relationship and need to be dealt with. The problem solving role is usually intended to be applied in a manner which is untrammelled by overly restrictive procedural considerations, so that the specialist skills and insights of the expert can be fully applied to the issues for resolution, in an expeditious and cost effective manner which is attended with an appropriate measure of finality. There is no obligation to give procedural fairness in the absence of an express contractual provision. Parties who by the terms of their contract agree to submit a question to an independent expert are bound by the determination of that expert acting honestly and in good faith. Mistake or error in the process of the determination will not invalidate a decision as long as it is made in accordance with the terms of the agreement. Vickery J noted that how the expert went about making the determination was in the hands of the expert subject to the terms of the expert’s terms of engagement, which in this instance was comprised of the IAMA Rules and a preliminary conference agenda. His Honour construed the expert’s terms of engagement in light of its commercial context, particularly the reasons for submitting disputes to experts set out in the analysis summarised above. appropriate procedures for determination of those issues. Vickery J reviewed the reasons of the expert for refusing leave to amend and held that there was no error of law manifest in those reasons. Further, His Honour held that the expert did not deny the builder procedural fairness, and it was within the expert’s power to reject the application for the reasons given. Finally, Vickery J noted that the only remedies available to the builder would be contractual in nature, limited to discretionary declaratory relief. His Honour held that specific performance would not be appropriate as the process to be followed is left to the expert’s discretion within the broad parameters of the Expert’s terms of engagement. Further, His Honour noted that administrative law remedies would not be available for a contractual appointment. The decision is important because it highlights the distinction between arbitrations on the one hand and expert determination on the other. The arbitration process is a quasi-judicial process whereas the expert determination process is governed by the expert within the parameters of his terms of engagement. In this matter the builder also contended that although the dispute resolution process prescribed in the building contract was described as an expert determination, it was in effect an arbitration in the sense that the expert was being asked to hear and resolve opposing contentions. 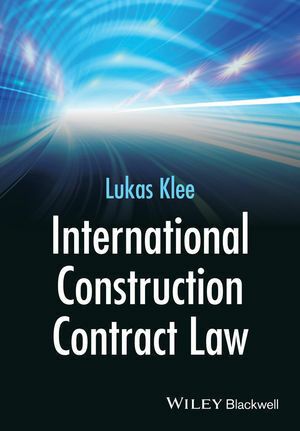 The Court construed the terms of the Expert’s terms of engagement and found that, irrespective of the expert’s role appearing to be similar to an arbitrator, the process was governed by the building contract and the Expert’s terms of engagement.